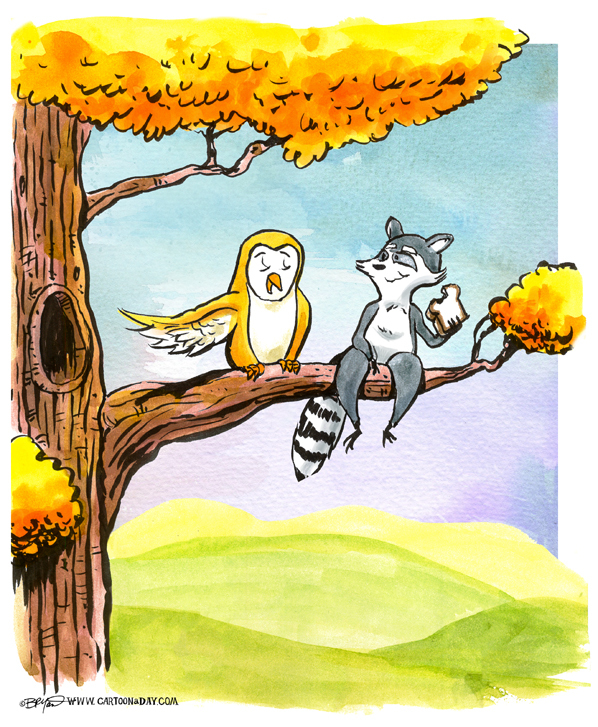 Friends Owl and Raccoon enjoy some company in a tree. Mr. Raccoon eats a sandwich. This is a scanned watercolor.